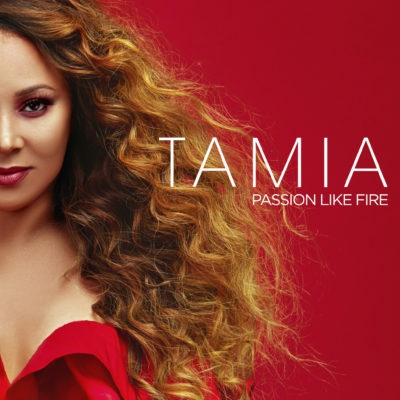 RnB Fans are in for an extraordinary musical experience as Canadian singer, songwriter and producer Tamia is getting ready to tour South Africa with her newly released album Passion Like Fire. Tamia Live In SA is brought to you by BreakOut and U-Live Africa, in association with SABC 2, 702, and East Coast Radio. Six-time Grammy Nominee returns to South Africa to perform on three stages across the country alongside our very own award-winning singer and songwriter Lady Zamar. Durban Botanical Gardens on 24 February. Tickets to the Tamia Live in SA with Lady Zamar Concert are available now at Webtickets and all Pick n Pay stores. You must be 18 and older to enter. The overall winners will be chosen in a random draw and will be notified by email. Winners will be disqualified if they are unable to provide us with all requested information, including an ID number. Entry information will not be shared with any third party without the entrant’s prior knowledge and consent. The competition is open to Johannesburg residents only. The competition is not open to employees of Caxton and their immediate families, the prize sponsors or their respective advertising agencies and PR companies. The prize(s) will go to the first name(s) selected at random after the closing date. Caxton Magazines reserves the right to publish the name(s) and/or photograph(s) of the winner(s). Prize(s) are not transferable and may not be exchanged for cash. Unclaimed prizes will not be resent. Caxton Magazines reserves the right to redistribute all unclaimed prizes. When the same competition is offered across different titles in Caxton Magazines’ stable during the same month, an individual may enter the competition through more than one magazine, but will only be awarded one prize should the individual be selected through the random draw as a winner for the same competition across more than one of Caxton Magazines’ titles. The post WIN 1 of 5 Double Tickets To The Tamia Concert appeared first on Bona Magazine.